Kick off GIF Sundsvall-Oerebro in SHL on 02-04 15:30. Referee in the match will be . Team GIF Sundsvall is located in the middle of the table. (7 place). In 5 last matches (league + cup) team gain 0 points. Team Oerebro is located in the middle of the table. (12 place). In 5 last matches (league + cup) team gain 0 points. Direct matches: usually ended with winning of GIF Sundsvall. 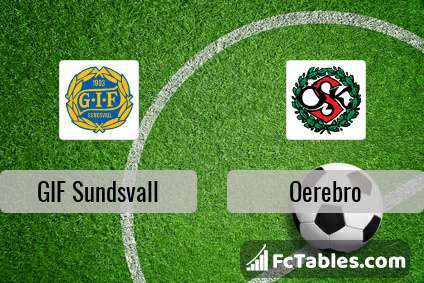 Balace of both teams games are: 10 won GIF Sundsvall, 9 wins Oerebro, 8 draws. In 18 matches the sum of the goals both teams was greater than 2.5 (Over 2.5). On the other hand, 21 matches teams scored more than 1.5 goals (Over 1.5). In 19 matches the both teams have shot at least one goal.